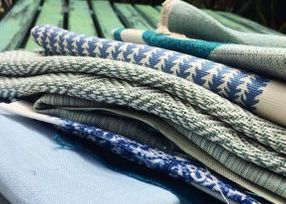 Cocoon can provide the soft touch, we carry a large variety of sample fabrics for custom curtains and blinds. Wallpaper is also an interesting way to jazz up a feature wall in your home. 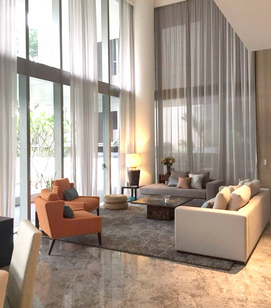 Our in house expert Phyllis Chee is available to come to you for onsite assistance and advice. 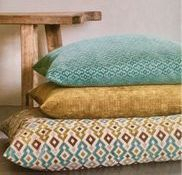 Cocoon also offers a first class reupholstering service, consider this for your sofa, dining chairs or that favourite armchair that perhaps has seen better days. 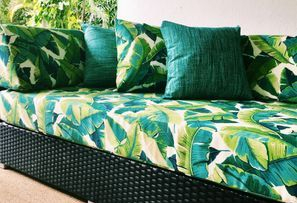 In addition a selection of outdoor fabrics are available, great for your outdoor seating and cushion needs in this tropical environment.